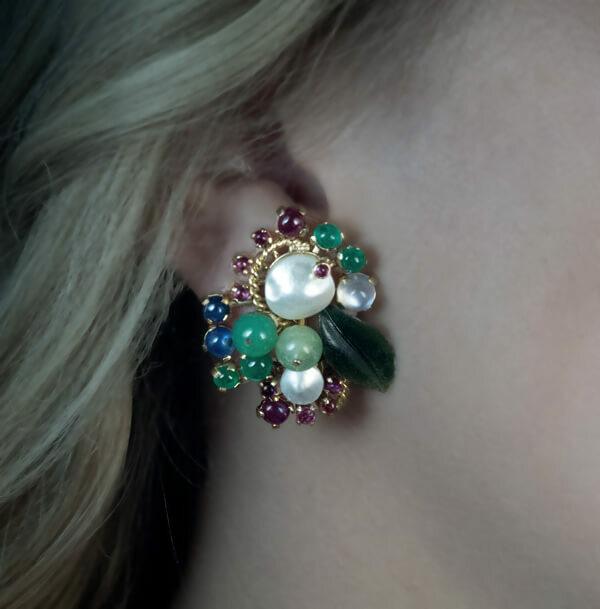 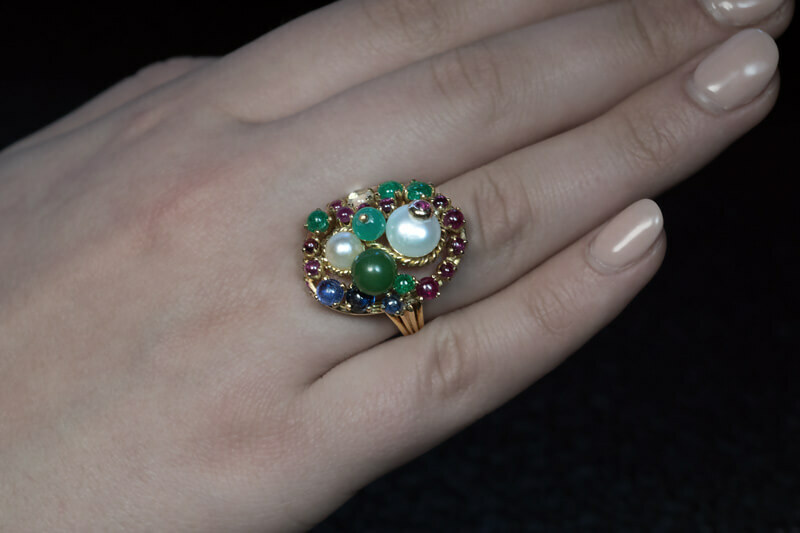 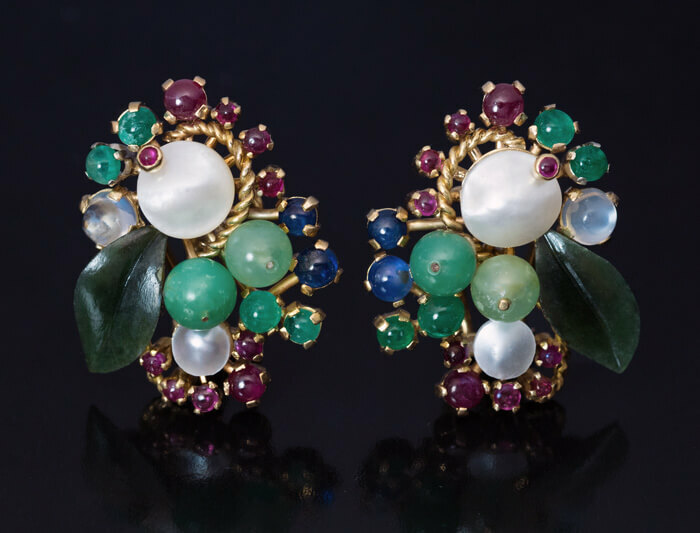 Retro 18K gold Tutti Frutti earrings and a ring are embellished with carved mother-of-pearls, nephrite jades, emeralds, rubies, sapphires, and moonstones. 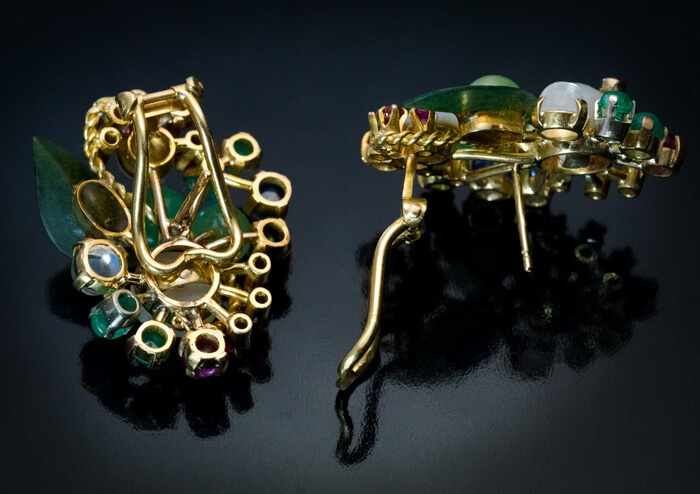 Marked with 750 gold standard (18K) and elephant-shaped Austrian assay mark for Vienna. 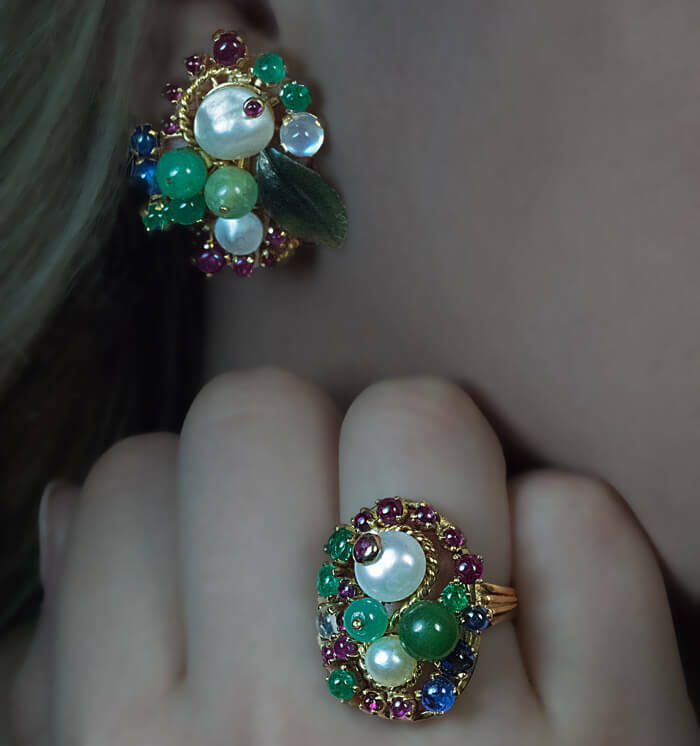 Weight of the earrings is 11.73 and 11.90 grams; of the ring – 12.67 grams. 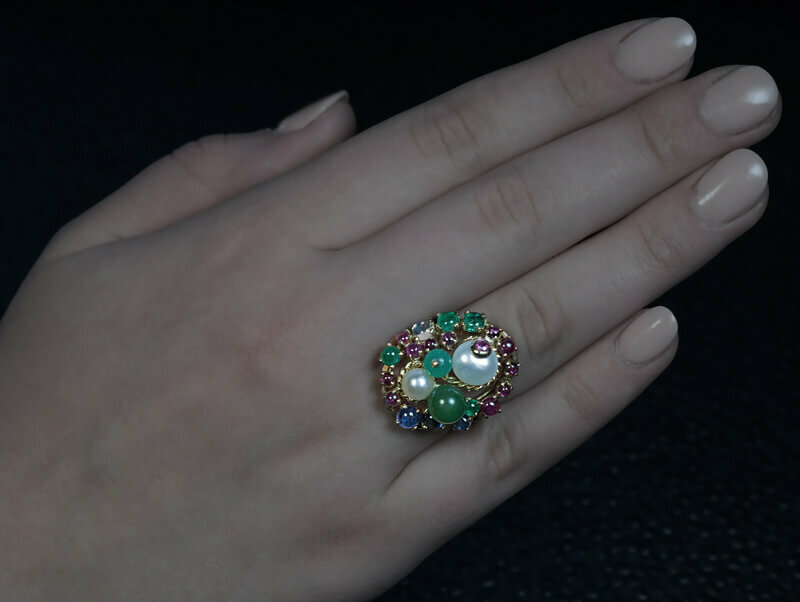 Ring size 7.5 (18 mm), sizable.